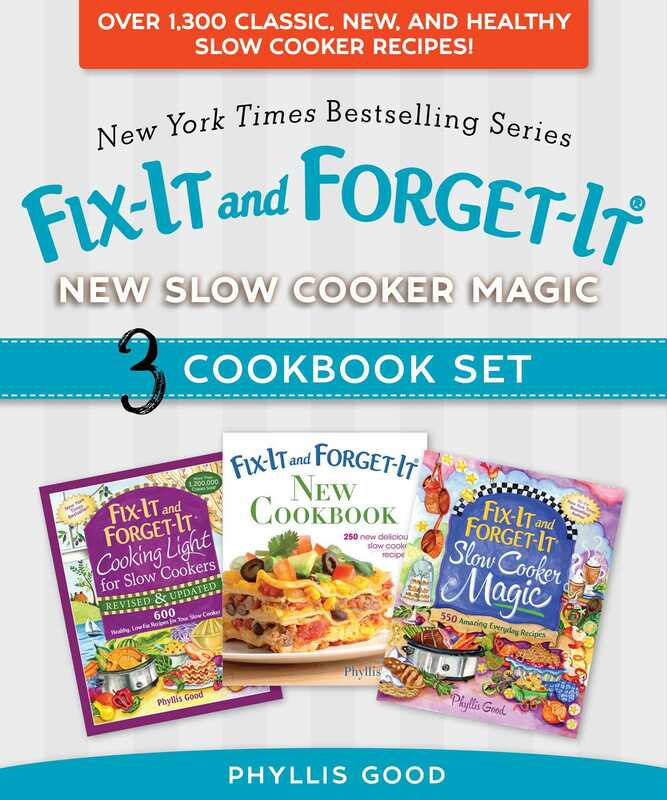 The beloved Fix-It and Forget-It series has sold nearly 11 million copies, giving home cooks around the world exactly what they craverecipes for delicious, satisfying meals that anyone can make with simple ingredients and minimal preparation time. Who doesn’t love being able to serve their family a wholesome dinner (and dessert!) without spending hours in the kitchenor a fortune on groceries? Now, New York Times bestselling author Phyllis Good presents a collection that gives cooks even more! Each section is packed with easy-to-follow, carefully tested recipes. No one has enough time these dayswith a slow cooker, anyone can prepare a fantastic meal in minutes! The recipes use ingredients most people already have in their cupboardsno searching high and low for exotic foods that will break the bank. This favorite guide to quick and easy-to-prepare slow-cooker food has it all: food from your slow cooker that is scrumptious and convenient to make. Phyllis Good is a New York Times bestselling author whose books have sold more than 12 million copies. She is the original author of the Fix-It and Forget-It cookbook series, Lancaster Central Market Cookbook, Favorite Recipes with Herbs, and The Best of Amish Cooking. Her commitment is to make it possible for everyone to cook who would like to, whatever their age. Good spends her time writing, editing books, and cooking new recipes. She lives in Lancaster, Pennsylvania.